Midnight Moon is inspired by Junior Johnson's legendary moonshine recipe. It's distilled from American corn to be ultra-smooth and clean tasting. And boy is it ever. So pop a jar open and pass it around, you're gonna love our high-quality moonshine. A high-strength, unaged spirit infused with blueberries. This was distilled from 100% American corn and undergoes a five-step filtration process, resulting in an ultra-smooth and clean-tasting drink. 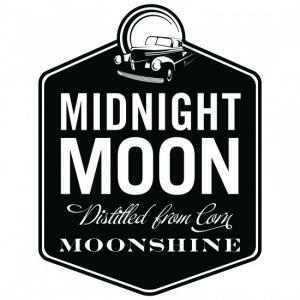 "Handcrafted, ultra-smooth Midnight Moon moonshine infused with real fruit. Fresh pressed apple juice and a cinnamon stick is added to age before leaving the distillery. Rich apple sugars and cinnamon spice taste just like a classic homemade apple pie. Great for sipping or mixing."